Ian Porthouse will lead the musical endeavor and excellence at the National Youth Brass Band of Scotland Easter Course from tutors and players alike. The Scottish Brass Band Association (SBBA) has announced that Ian Porthouse is to lead the conducting team at the 2019 National Youth Brass Band of Scotland's (NYBBS) Easter Course. The Tredegar Musical Director will take over from long-standing NYBBS MD Russell Gray to link up with regular conductors John Boax, Alan Fernie and Musical Director Emeritus Richard Evans at the Senior and Reserve Band's course at Strathallan School in Perthshire from 11th to 14th April. 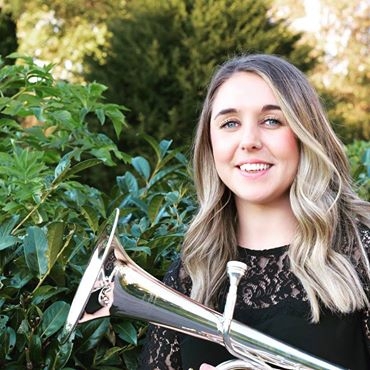 Another former NYBBS horn soloist, Cory's Ailsa Russell, will also join the NYBBS tutorial staff — a move that adds to the growing list of attractions that SBBA now provides for the musical development of young players, and which recently saw various workshops and masterclasses provided by Rachel Neil and Black Dyke's Katrina Marzella at the Scottish Festival of Brass events in Perth. Speaking about the appointment Ian told 4BR: "The Scottish Brass Band Association is a beacon of excellence when it comes to the long term development of young brass banding talent. Richard Evans has always told me how special it is to make the trips to Scotland for the NYBBS courses so I know I've got plenty to look forward to." Speaking of the new appointment, SBBA President Carrie Boax told 4BR: "We are in store for plenty of exciting times as we welcome Ian to the team, and we look forward to the opportunities that lie ahead. We are indebted to Russell who has dedicated 38 years of service to the NYBBS family. He will always have a special place in NYBBS hearts.